Here at Perception HQ, we’re a sociable bunch, so we don’t need too much excuse to have a coffee and a catch up with our lovely clients. We enjoyed a rendez-vous with Anthony Torkington, Director of the luxury Le Saint-James in Bordeaux. Anthony was born in Edinburgh and lived in Hastings until joining boarding school at Lancing College near Brighton. With an entrepreneurial streak from an early age, after completing his A-Levels he moved to Mallorca for a year where he assisted his Mum in running her own restaurant. With a taste for luxury hospitality and a natural flair for service, he later enrolled at Glion Hotel Management School in Switzerland before embarking on his hospitality career. 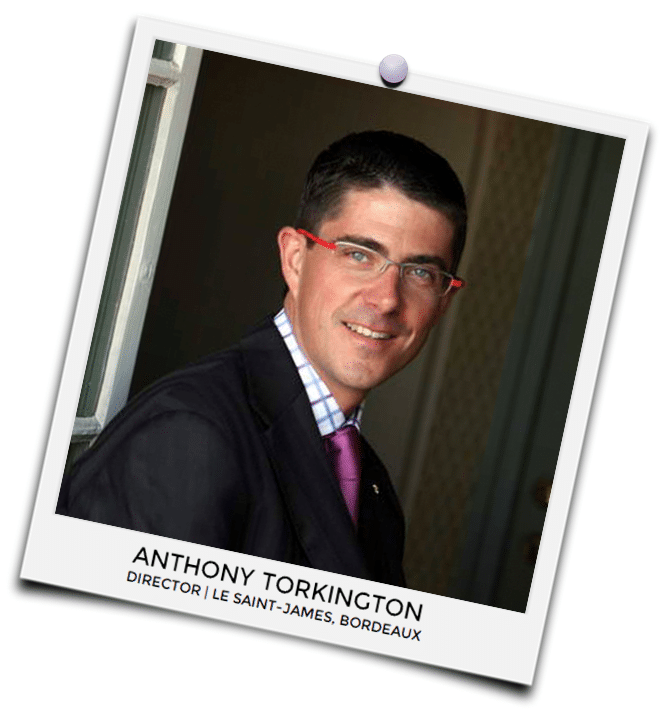 Since the beginning of his hotel management career in Cannes in 1994, Anthony has worked his way up to General Manager level and has successfully managed three Relais & Chateaux properties, Le Mas Candille in Mougins, France, Le Cap Est in Martinique and currently Le Saint-James in Bouliac, France. 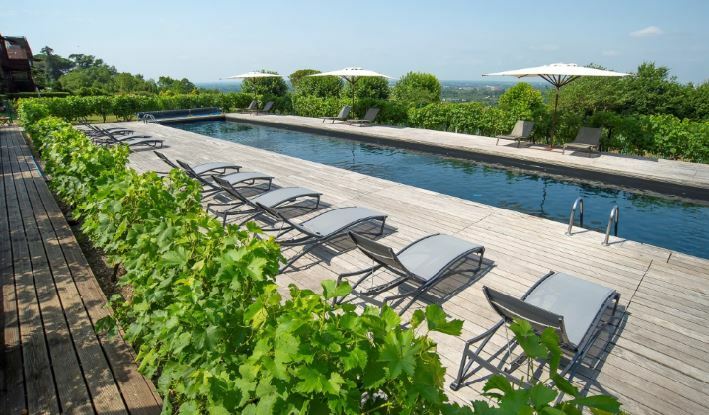 Perfectly positioned in the heart of the village of Bouliac and just a ten minute drive from Bordeaux in South-West France, Le Saint-James is a stunning contemporary Relais & Châteaux hotel designed by the famous architect Jean Nouvel. Relais & Châteaux’s mission is “to spread its unique art de vivre across the globe by selecting outstanding properties with a truly unique character.” Le Saint-James certainly fits the exclusive standards of luxury, originality and exquisite cuisine. The hotel’s gourmet restaurant “Le Saint-James” is home to Michelin-starred Chef Nicolas Magie whose imaginative (and creatively presented) menus are inspired by daily market offerings that change with the seasons. The hotel also features works of art from renowned French artists and has it’s very own state-of-the-art cookery school. The perfect destination for short breaks, celebrations or business retreats. When he’s not ensuring seamless operations of this luxury hotel, Anthony keeps busy with family life. (As 75% of his four children are teenagers, we can only imagine how busy he must be!) He loves Formula 1, enjoys playing golf, boating in Cala San Vicente (Mallorca) and gardening. “Spending time with the family and seeing my children progress is what makes me the happiest”. Managing one of Bordeaux’s luxurious hotels takes meticulous management skills, a great deal of multi-tasking and up-to-date knowledge of what’s happening in the industry. Fortunately for Anthony, he has all three. Anthony ensures Le Saint-James maintains it’s reputation for excellence, through employee engagement. By focusing on staff training, development and recognition, Anthony has created a strong team culture and a motivation to deliver world-class hospitality. It certainly isn’t, and the attention to detail is evident in every area of the hotel. It’s clear to see why Le Saint-James gets the Relais & Châteaux mark of approval.